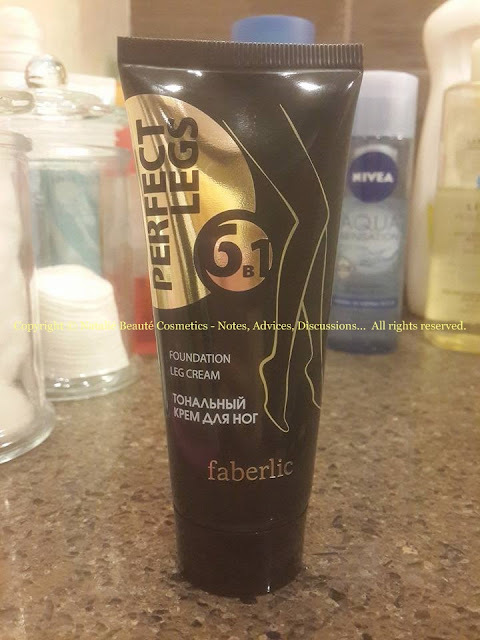 PERFECT LEGS by faberlic is tinted moisturizer for legs, which not only gives natural tan tone, but also takes care for your legs, comforting them, cooling them, thanks to the menthol ingredient and has venotonic effect, too. 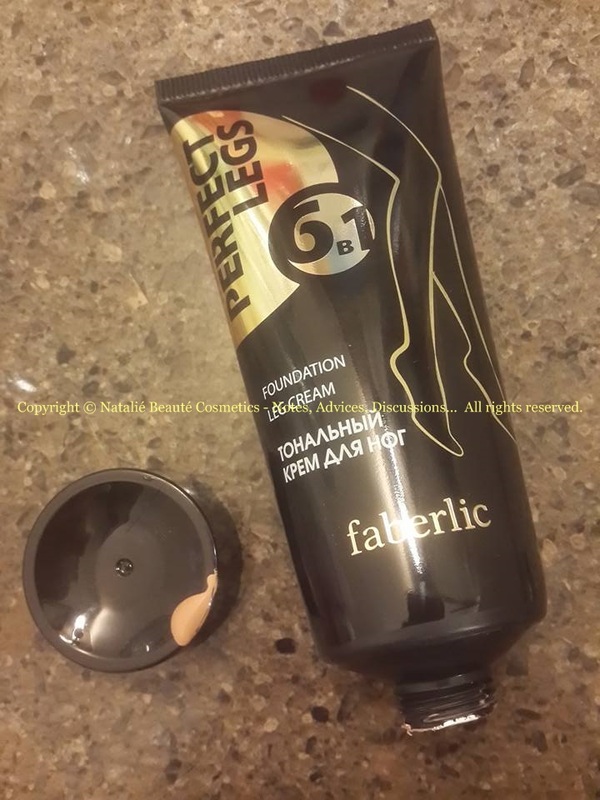 "Perfect Legs 6-in-1 Tinting Cream stays invisible, making your skin smooth with a subtle virtual sheen of bronze-colored tights! The cream is scented with 100% pure essential oils – lemon, lavandin, cypress, citrus, Mentha arvensis and eucalyptus that feature nourishing properties and relieve heavy and tired legs. - Evens out skin tone.- Relieves tired and swollen legs.- Fights spider veins.- Produces a venotonic effect.- Effectively protects against UV rays. SPF 15.- Lasts long, dries fast, does not leave spots on clothes. Suitable for all skin types." 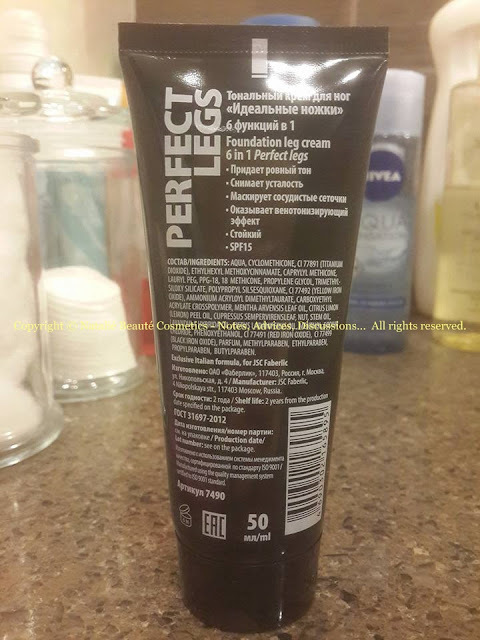 PERFECT LEGS is product from SkyLine products line. 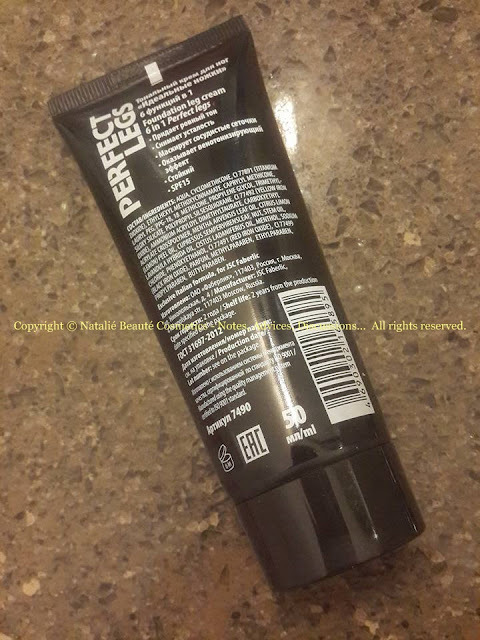 Its purpose is to give to your legs light, natural looking tan, without any orange shade or annoying dots like effect, (when the usual long-lasting bronzing products, start to leave your skin together, with the dead cells, but still part of the color, stays on your body). I use this product and can say, that it gives soft tanning effect, with color shade, which has grey undertone (most probably, blue, despite it seems greyish), which doesn't give any orangeness. In my opinion, this tone is suitable for all kind of skin shades, because it's kinda neutral. The cream has very silky texture, it's easy to spread all over the legs. It cooles the skin, thanks to the Menthol, included in the formulation (it even smells little bit like Menthol, but only during the applying process). It dries fast. It doesn't leave any sticky residue. It's not glowing effect product. The only thing I don't like was the half-empty tube (the tubes are coming sealed, under the cap). I wish this, product to be larger amount, than now. Other way, it finishes in zero time and doesn't respond adequately, to its high price. "- Apply a thin layer of cream on clean and dry skin. - Let the cream dry, do not put on clothes immediately after applying it. - Use a shower gel or soap to wash the cream off. Caution! Do not use the tinting cream for your face. Doesn't leave color residue on the clothes (wear clothes, 10-15 minutes later, after you apply the product). It's easy to wash out at the end of the day, in the bathroom. It comforts the legs. Leaves the skin silky smooth. 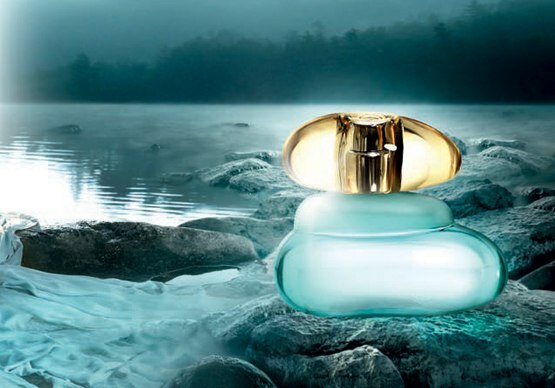 I wish, faberlic will make this product in bigger tubes.